ight for Glory! 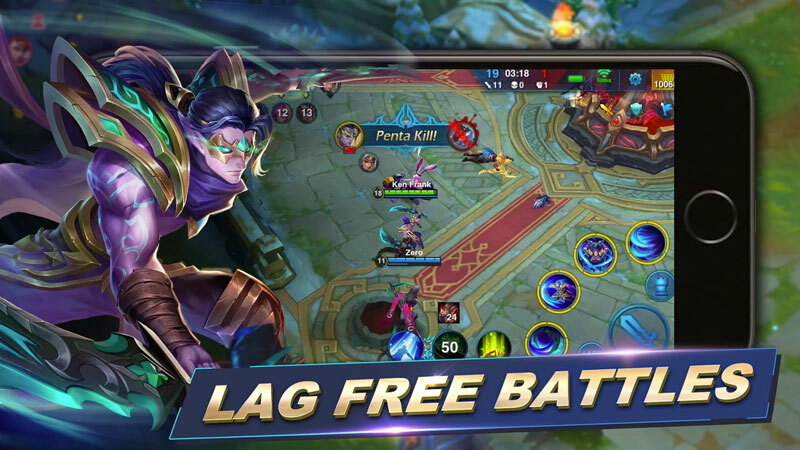 Play this 5v5 mobile game FREE with no lags! HEROES ARENA is the most up to date and the best worldwide multiplayer online arena! Pick your best hero, gather your friends to make a team, fight across awesome maps through swarms of monsters and villains and achieve victory! No lagging for absolutely FREE! Just play to Win! Fast-paced fun with a fair gameplay for 1v1, 3v3, 5v5 and more multiplayer fight modes! Basic controls for easier interface with your hero! Auto-translated communication so your team can strategize together without pausing battles! Auto-recorded battles let you review and share your victories with your friends online!